The Dow Jones suffered a triple-digit drop on Tuesday — just hours before President Donald Trump was set to deliver his State of the Union address, a speech that many expect will tout the stock market’s highs and focus on the impact the administration has had on the economy. Markets closed sharply lower Tuesday for a second straight day of dramatic losses, with health-related stocks tumbling after Amazon, Chase, and Berkshire Hathaway announced a joint health care initiative that was seen by many investors as a shot across the bow to the pharmaceutical industry. It was the Dow Jones Industrial Average's worst day since August and its first two-day losing streak in more than a month. The DJIA closed down 362.59 points or around 1.37 percent. The S&P 500 index closed down 31 points, or around 1.09 percent. Shares in UnitedHealth weighed the heaviest on the blue-chip Dow index; its stock tanked by 7 percent on the news that Amazon was entering the health care field, but leveled out to a drop of around 4 percent. By mid-afternoon the Dow Jones had fallen 400 points, with the S&P index down 1.2 percent, and the volatility index — a gauge of investor fear — soaring to its highest point since last August. Nonetheless, the Dow is up more than 30 percent since Trump's inauguration, a point of fierce pride for the president and a frequent focus of his tweets. But questions are swirling around the timing of the health care announcement by economic influencers Jeff Bezos, Warren Buffett, and Jamie Dimon. While the Chase CEO has at times voiced support for Trump's business-friendly agenda, Berkshire's Buffett has said Trump "might be in the wrong line of business," and Amazon CEO Bezos famously offered to launch Trump into space. 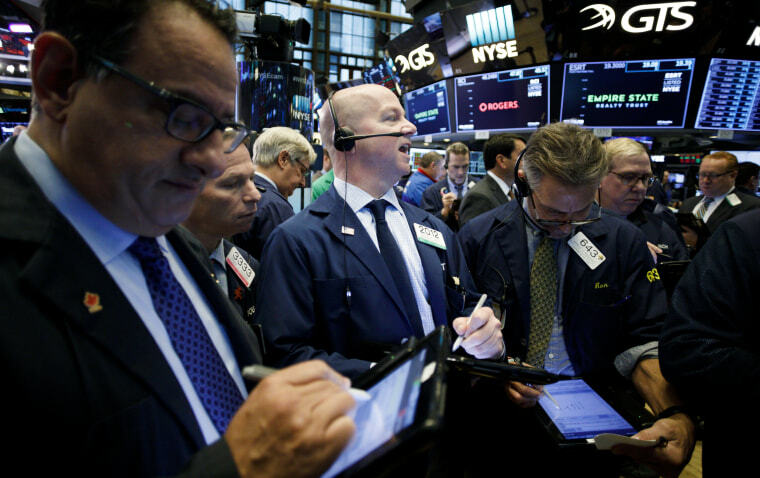 Tuesday’s slump came on the heels of the worst day this year for markets, as investors drew back Monday on concerns that higher interest rates could bruise the market by tightening up access to ready money. "This is the first wave of selling we've seen in a while," Robert Pavlik, chief investment strategist at SlateStone Wealth, told CNBC. It’s not the start of a general pullback, he said, but more “an excuse to sell."